World War II history buffs should set aside a good part of Monday for some light reading. Maybe some of Tuesday. In fact, don’t make any plans the rest of the month. The “Gray Book,” a collection of communications from Fleet Adm. Chester Nimitz that range from the Pearl Harbor attack to the days before Japan’s surrender, has been digitized and will be unveiled Monday as part of a live web program on the Navy’s official blog. The document — brittle from long-term storage and classified until 1972 — had been scanned previously, but better, searchable scans will offer easier access to the 4,000-page Pacific Theater saga, the Navy said in a Thursday news release. The book, named for its original gray cover, has daily entries from Nimitz’ perspective for the duration of the war. 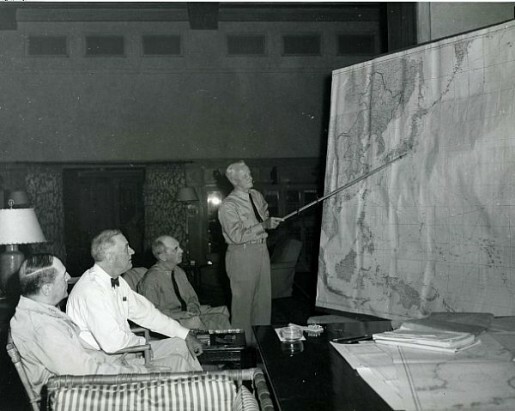 Its pages “clearly reveal what Nimitz thought was important, which gives the reader a great deal of insight into how his experiences both operationally and at the Naval War College informed and influenced his prosecution of the war,” Capt. Jerry Hendrix, director of Naval History and Heritage Command, said in the release. The war college’s library began the digitization effort, with NHHC’s guidance, in August 2012. Monday’s big reveal, which will include an online Q-and-A session with World War II history experts, also marks Nimitz’ 129th birthday. It’s set to start at 6:30 p.m. Eastern. Read more about the five-star admiral here. This incredible project was planned, executed, and brought to the public by Susan Cornacchia. You may not see Sue’s name mentioned but this entire project was solely her accomplishment. Outstanding job Sue!